Reptile Super Show Pomona - 3 weeks away! Come see us! Welcome Fall! Check out our newest additions on our price list! Happy 4th of July! 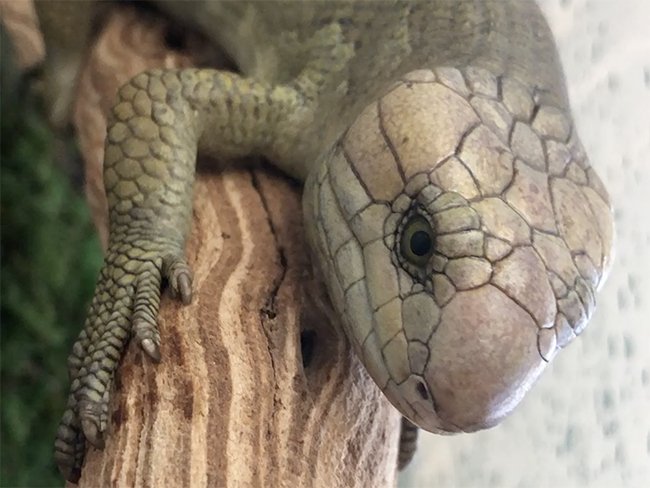 Come see us July 7-8 at the San Diego Reptile Super Show! 2018's keep on coming! July 2nd price list updates. Come see us this weekend in San Diego! 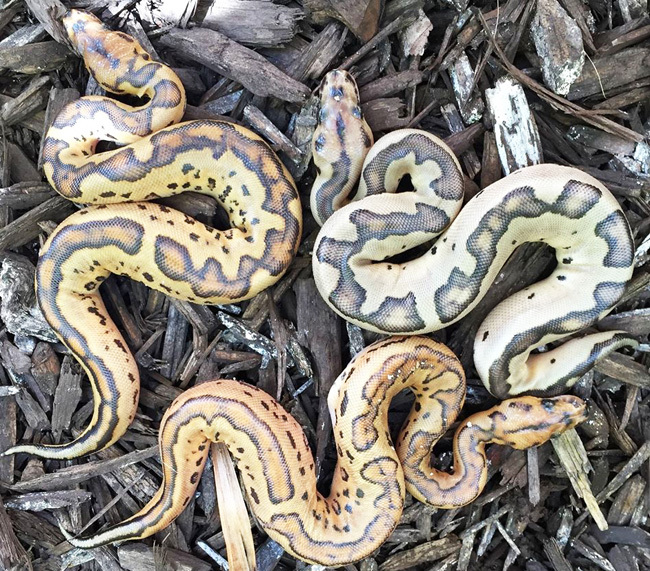 New cb18 Boas available! Check them out! 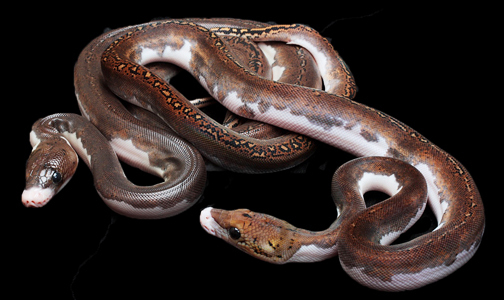 0.1 cb17 Monster Tail Hypo Jungle - boa constrictor ... plus over 20 new additions on the site and price list! March 1st Price List updates and additions! 20 New Ball additions just added! 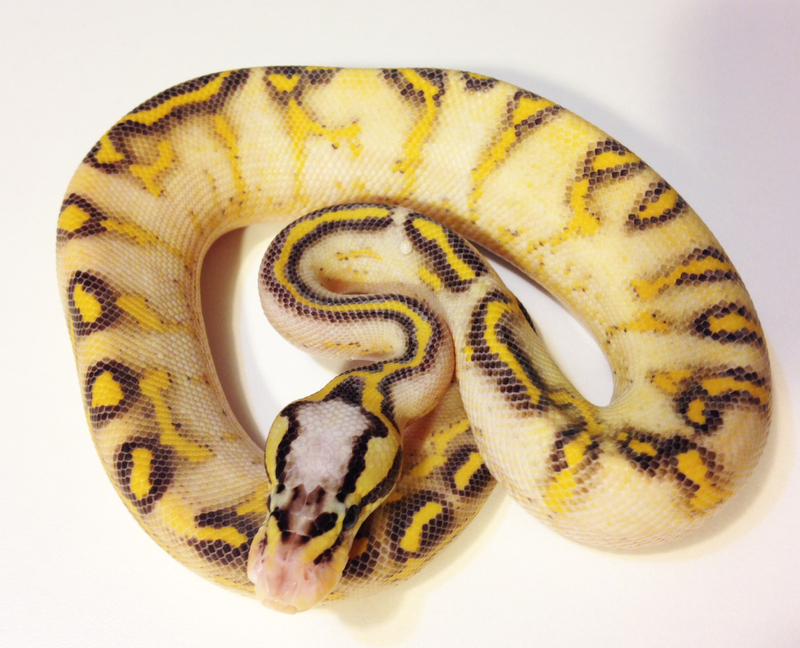 Some new additions under Pythons/Snakes... check them out and our updated price list! 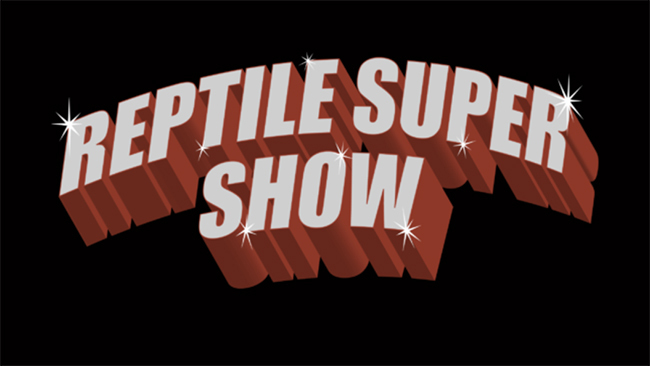 Reptile Super Show 1 day away... see you there! 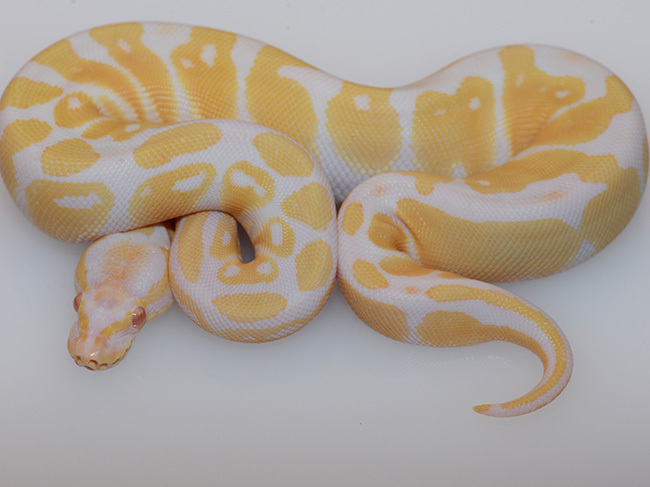 0.1 cb17 Lemonblast and..
4 days away...0.1 cb17 Super Fire boa and..
1.0 cb17 Fire Yellow Belly and ?? extraordinaire! 1.0 cb17 Fire Yellow Belly and ?? - extraordinaire! 1.0 cb17 Pastel Gravel beauty! Still deep in hatch mode! Price list updates as they come.. check em out! 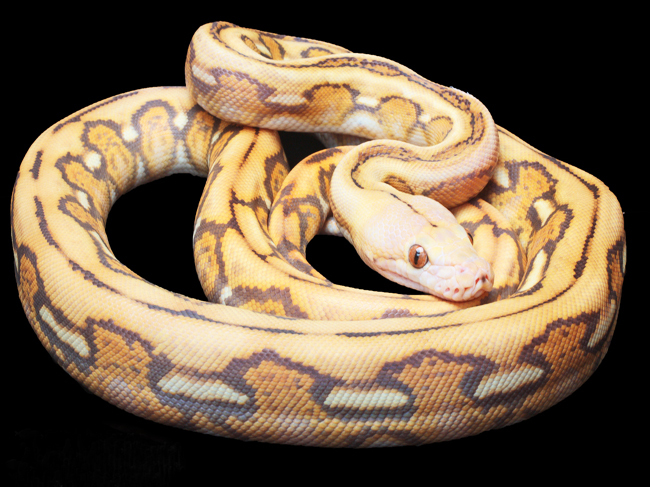 Orange Dream combo... beautiful ball python! Coral Glow combos galore! Check them out here and on our price list. Tons hatching! Happy Labor Day! Happy Labor Day! Tons of new hatchlings! Highways to Heaven... all kinds! Updated August Price List. Come see us for show prices in Pomona this weekend August 12-13! List and website updates available now! 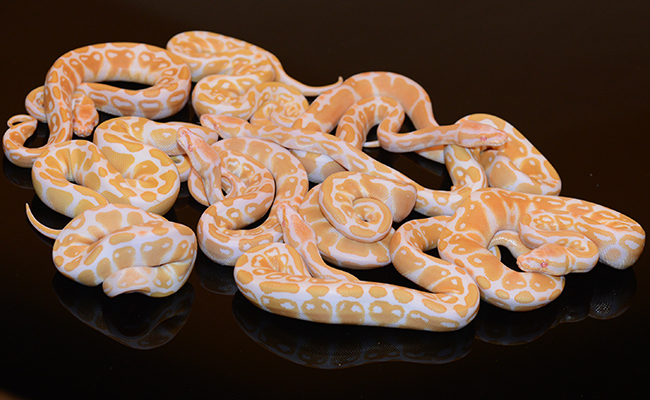 1.0 cb17 Albino Pied python reticulatus...... new additions in Available Collections and Price List.. Check out this Highway clutch! Continuous udpates, keep checking our price list for the latest. More new Price List additions for July! We have a ton of new additions in our Available Collections and Price List! Check em out! Happy 4th of July! 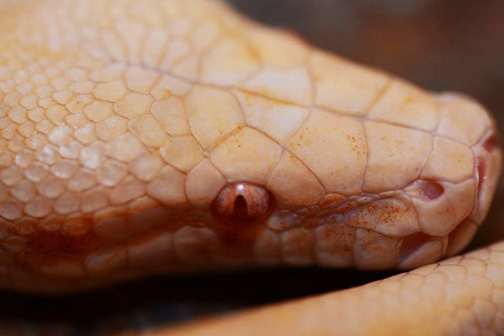 See you this coming weekend at the Reptile Super Show - San Diego! 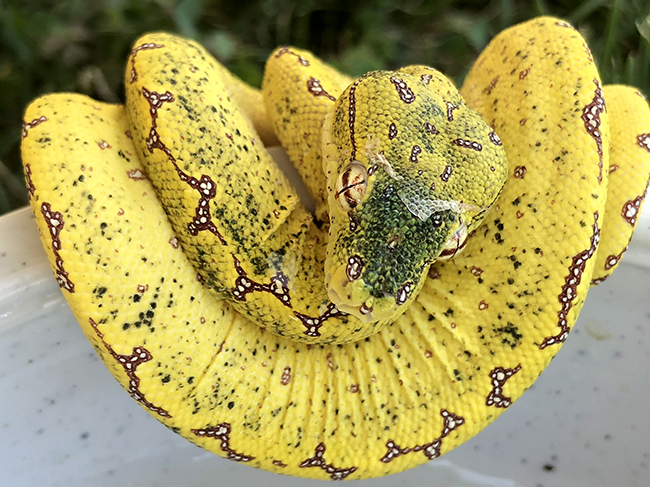 Gorgeous Woma babies available! Hatching weekly! 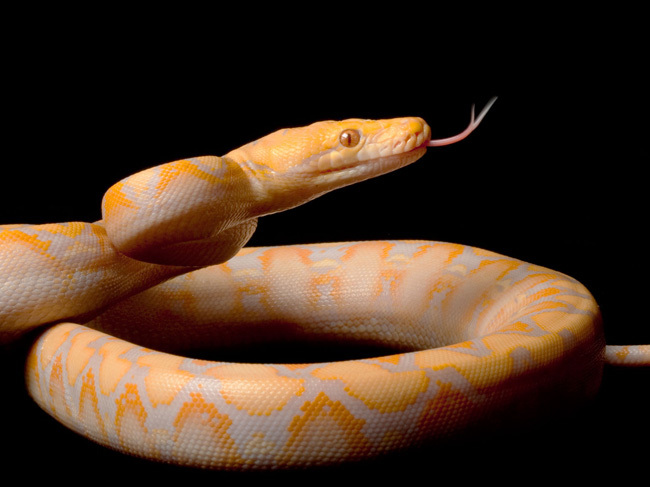 See pics under available pythons/snakes. 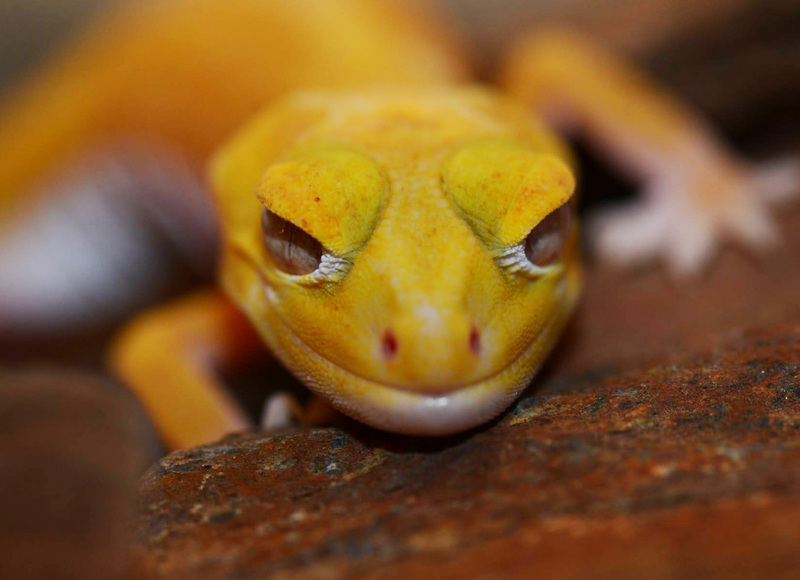 San Diego Reptile Super Show is just over two weeks away! Come see us! Check out our June Price List updates! Spring has sprung! 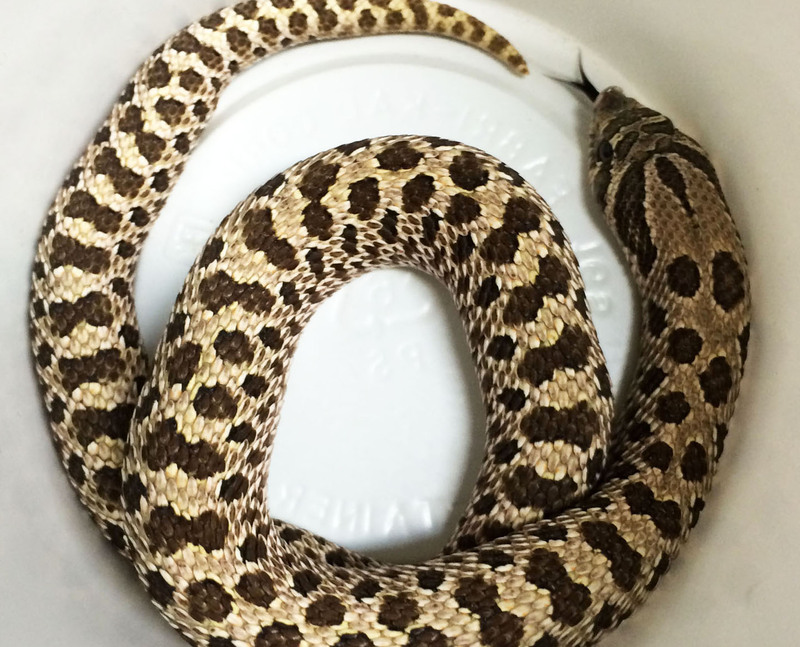 Check out our updated website and this little cb 2017 Albino Western Hognose. Our baby Woma's are hatching! Check out this beauty! New June Price List updates! Happy May! Many hatchlings arriving and will be for sale shortly! Beautiful, rare Pilbarensis! We have other new additions on our price list! Check out this diverse group. We've also added some high end Clown beauties to Available Balls. More additions weekly! April 5th Price List updates! Saved the best for last and betting they go fast! Don't be left in the past! New Balls in available collection!... and a few updates to our list! Wow! We have some amazing additions to our March 24th Price List! Lots of Ball combos and some fun exotics! March 4th price list additions and updates! Happy Valentines Day! New list updates! We are offering some incredible package specials and discounts! Contact us for details. 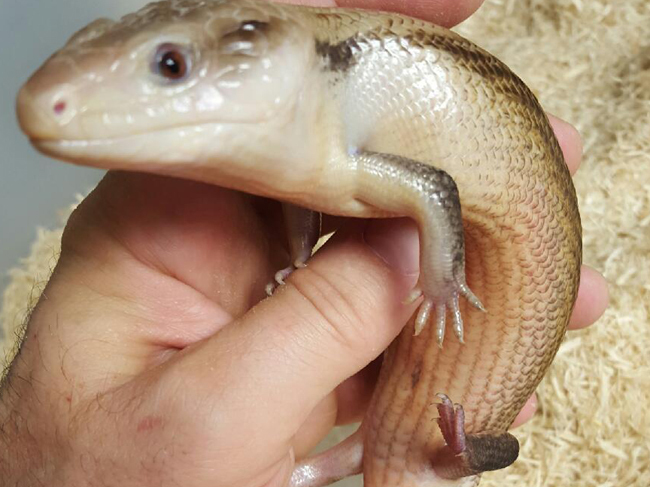 Axanthic Skinks, Rare dwarf monitors and more.... Check out our January 18th Price List! We're not Clowning around! Come see us for show prices this weekend in Pomona! And check out our latest price list! Happy New Year! 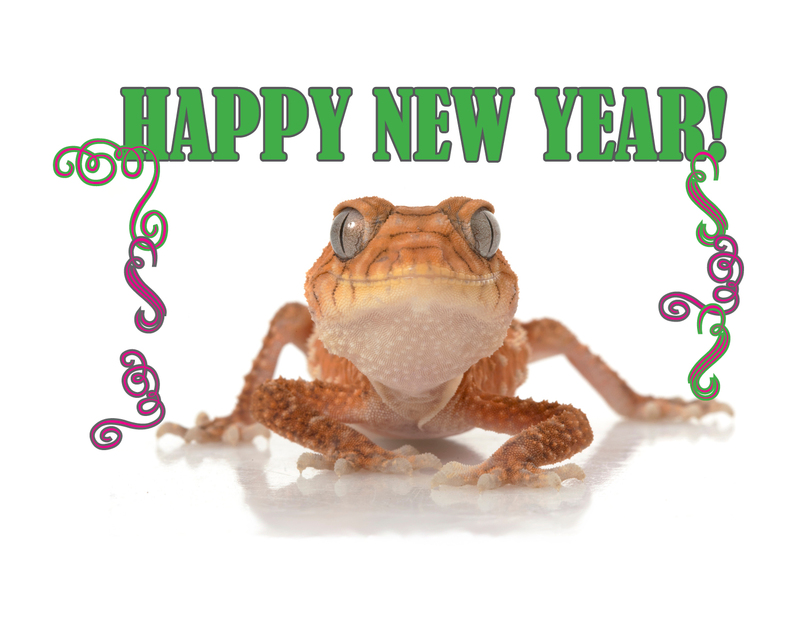 Come see us at the Reptile Super Show - January 7-8th! 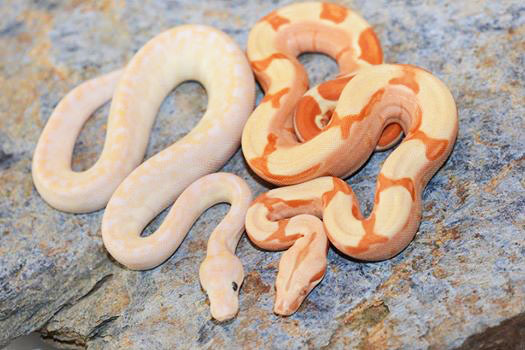 We've added some December Beauties to our Available Ball Pythons! Cyber Monday Specials begin tomorrow–thru the end of the month! Happy Halloween! End of October Price List and many new Balls! October 26th Price List! 1.0 Bongo Lemonblast - Incredible! As promised! A ton of new updates on our October Price List! Check them out! End of month price list. Make sure you check back early next week as we will have many new additions to our October list! Labor Day Weekend Web Updates and Price List! September 1st price list updates! August 25th Price List ....Many new Ball and Boa additions in our Available Collection! Wow! 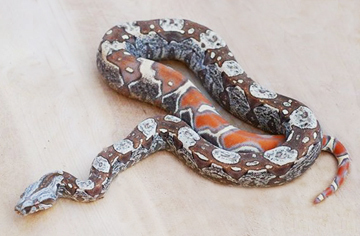 More Boas! Check them out and our August 8th price list! 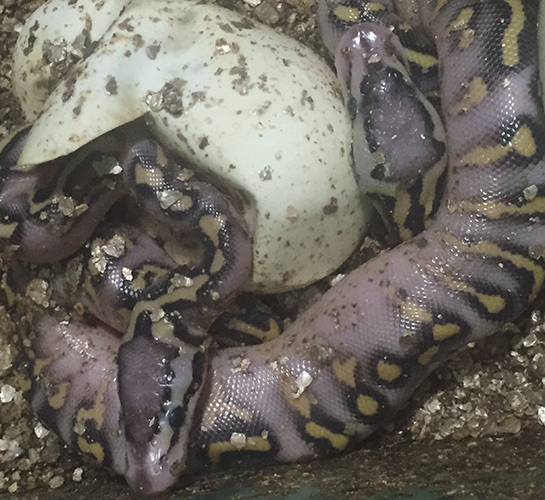 Beautiful baby Woma pythons hatching daily! Updated end of July Price List! New additions just added to the site! Along with some list updates! See you at the show! New hatchlings! July 7th updated price list available! 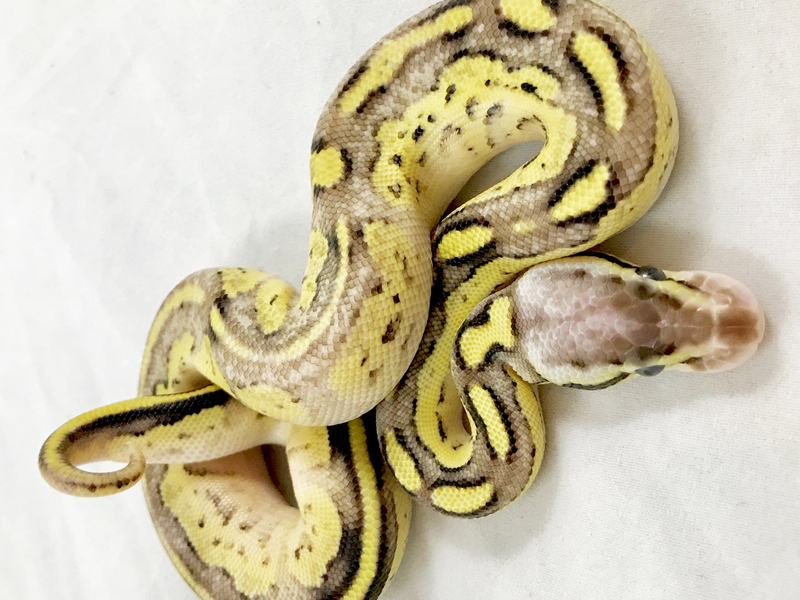 1.0 cb16 Banana Enchi Clown - Check out July 4th Price List! 12 Days! 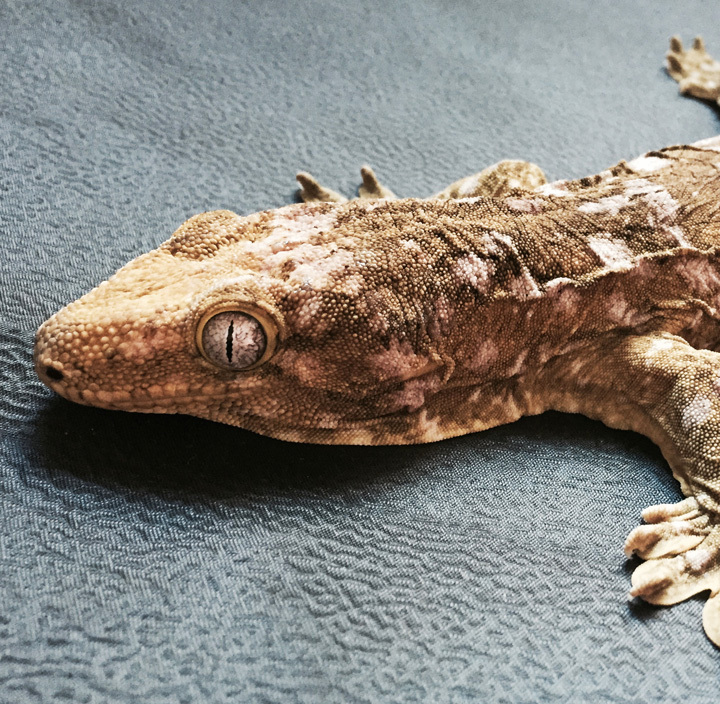 San Diego Reptile Super Show! June 30th Price List! Check it out! Beautiful Woma Mama with her clutch! 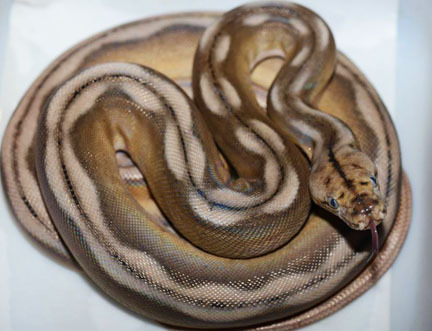 We've added many Ball Pythons and Reticulated Pythons! Check them out in Available Collection! 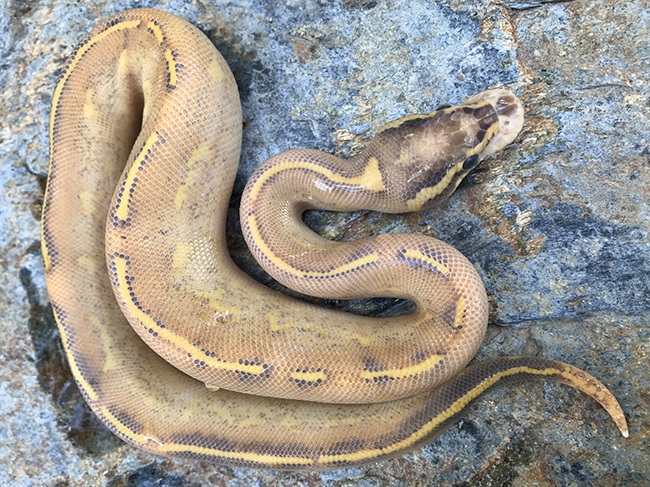 1.0 CB 2016 Motley Jungle 100% het VPI - fully striped! MAY SPECIALS! Check them out on our Price List! Price List Updates and Additions! 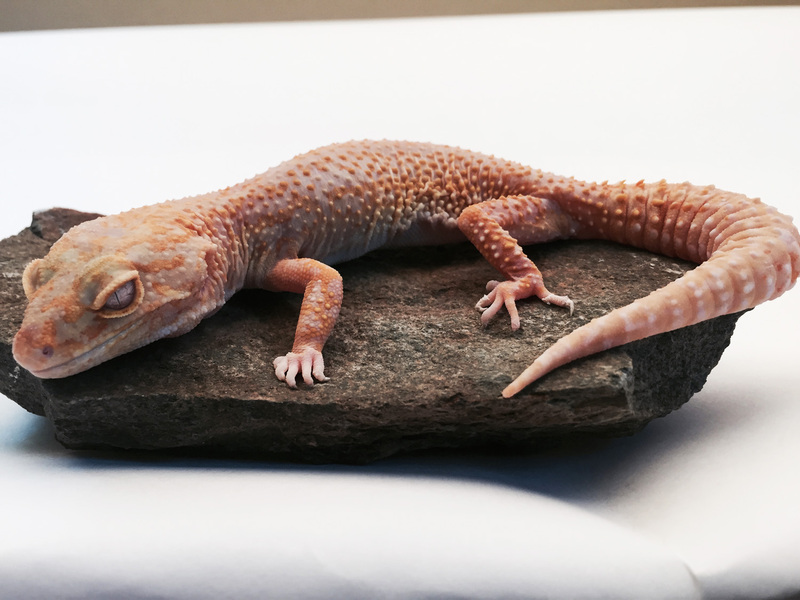 Wholesale Prices at Repticon this weekend, April 22, 23, 24th! AHHHH.... Welcome Spring! CB16 Ball additions....Some gorgeous Super Special combos! Lots of new additions, some hold backs and newbies! Check them out! 0.1 cb14 Princess Diamond Super Fire! March 17th Price List Updates! Check them out! 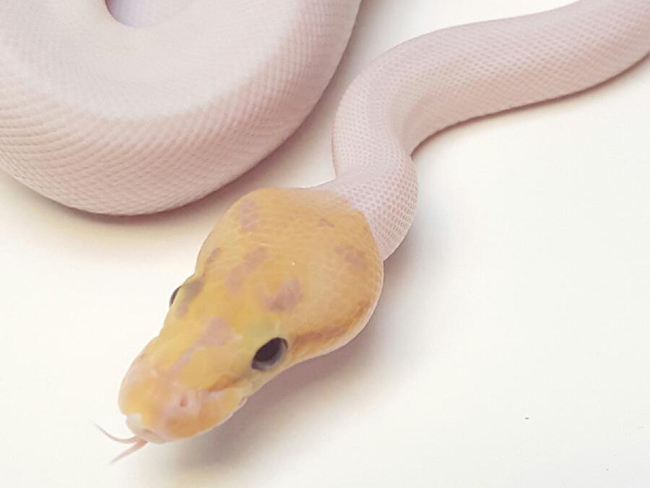 1.0 cb15 Pastel Coral Glow Pied! End of February Price List! Even more new additions to our list! Even more new additions to our list and available collections! How cute am I? Read more about me. I am on the new February 16th list with other additions! February 1st Price List updates! Showtime! One day away! PLUS NEW JANUARY LIST UPDATES! Pomona Show This Coming Weekend! 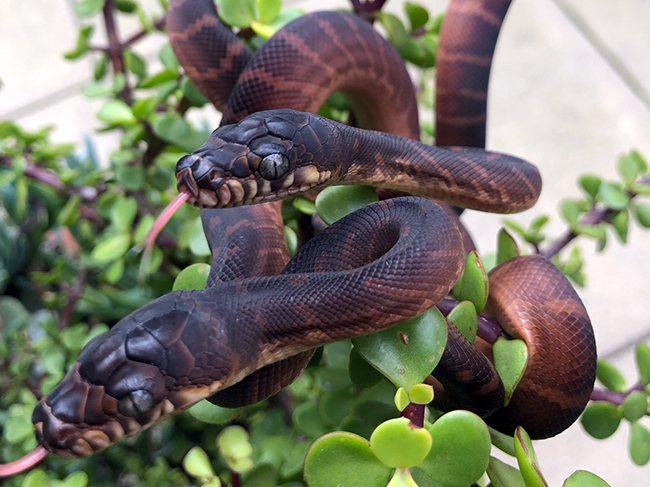 Woma Breeding in full swing! Happy Holidays! We have some new additions for December! Check them out on our list! 17 days until the Pomona Reptile Super Show! How cute are we? Two of us are for sale! Come see us in Pomona! Hungry for Green! 28 Days until the Pomona Reptile Super Show! 30 Days Until the Pomona Reptile Super Show! Wow! Check out December price list... new additions! 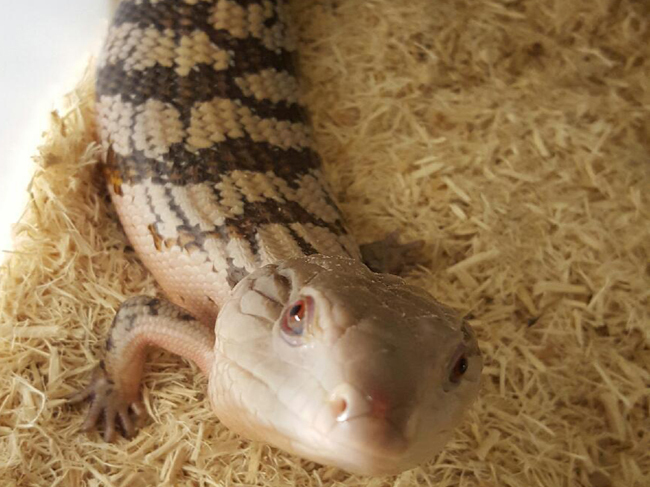 Thanks to everyone who stopped by at the Costa Mesa Repticon Show! 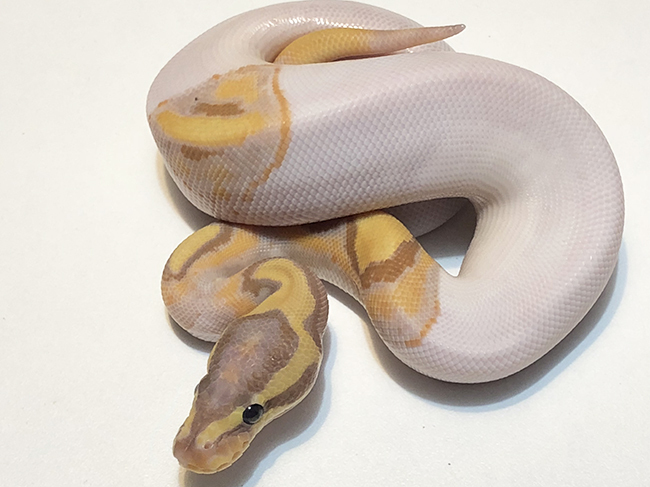 Gorgeous Enchi Pieds available now! Pinto Pieds! $1,000 each. New price list just updated! 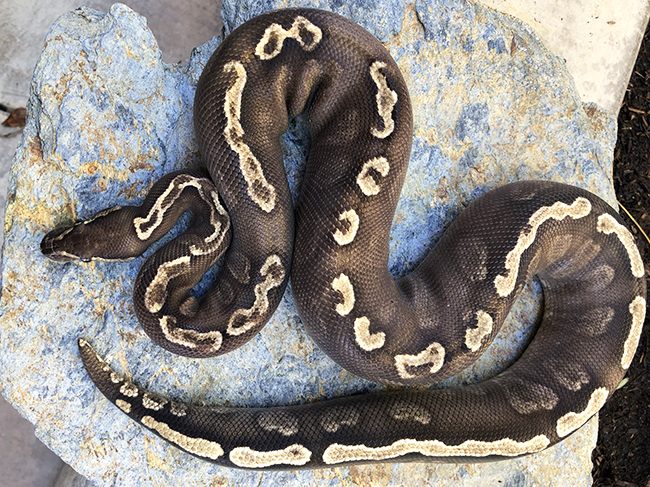 NOVEMBER BALL PYTHON SPECIALS! HUGE DISCOUNTS! 1.0 Spied....We have males and females! $650 each! Smokin' Halloween Deal! 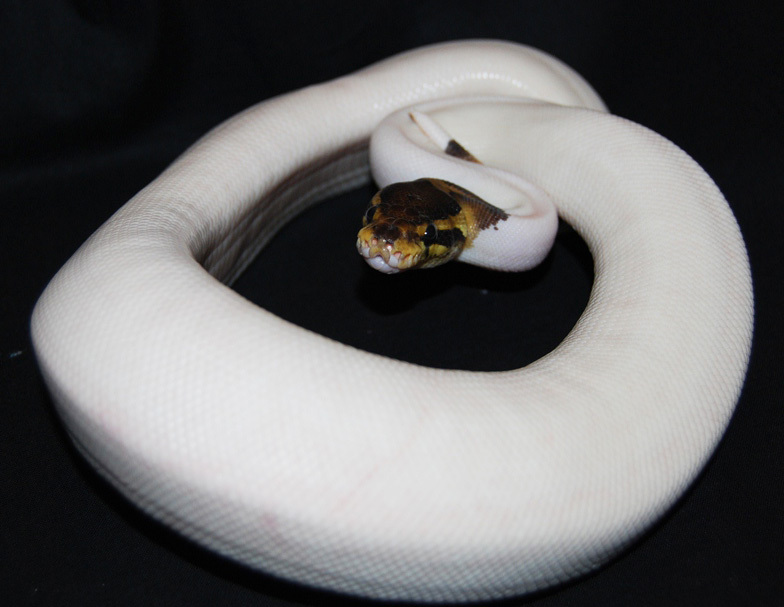 1.0 Black Pastel Pied. New Price List in upper right! 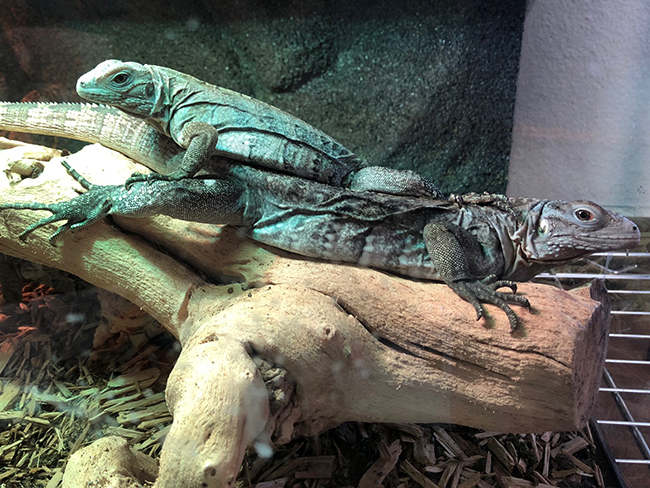 Baja Blue Rock Lizards! Check out latest price list in upper right! 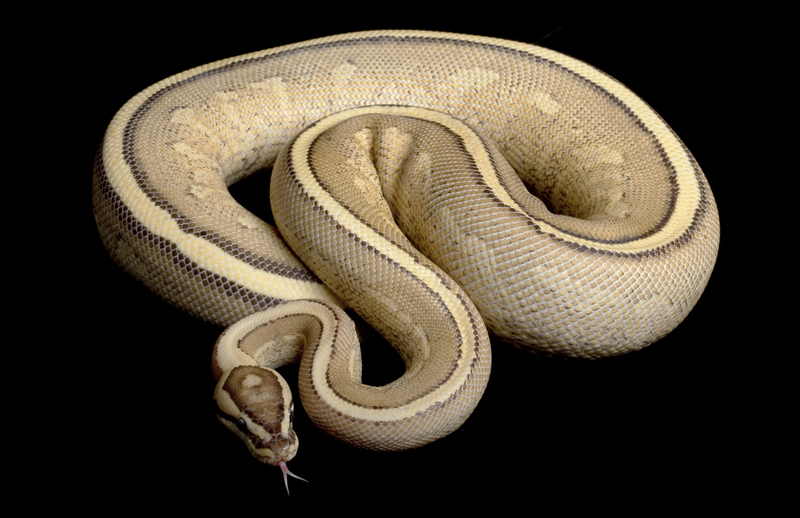 Pied Het Albino Python Reticulatus! 2 beauties available! Other Exotic Additions! Check them out! 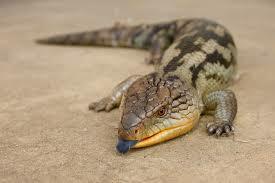 We are searching for all varieties of captive bred Australian Skinks! 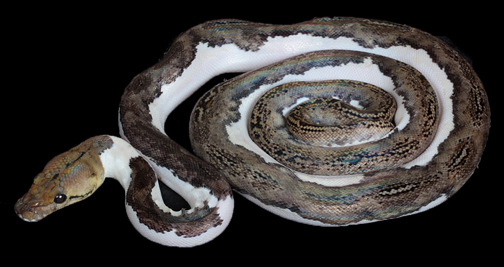 Black Pastel Pied / Pied Clutch! Hatched on 9/22! See you at the show! These two are for sale! Check out our new additions! We've just added new stock to our list! Lots happening! I am a beauty! Check me out on the price list as well as many other additions! 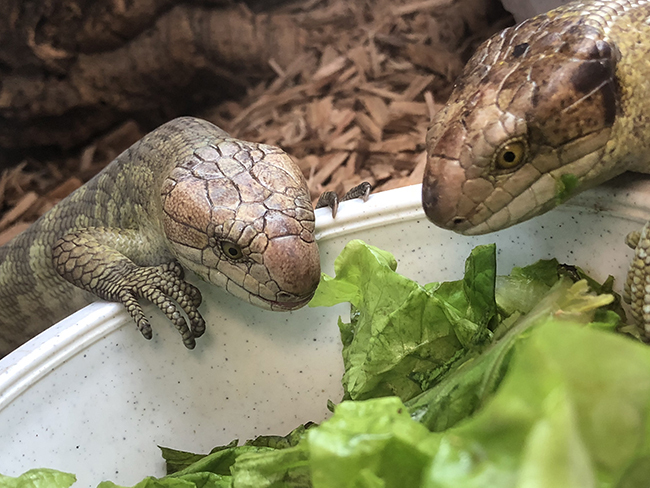 Axanthic Blue Tongue Skinks! Price list updates in upper right. Web and list updates to come this weekend! Thank you to everyone who came out to the show! 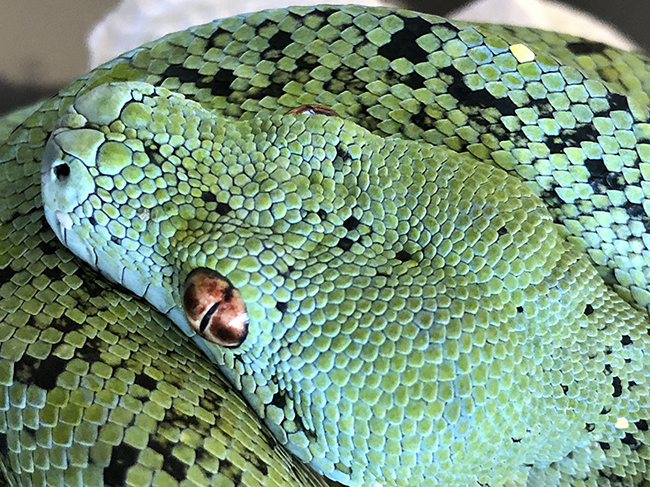 Reptile Super Show San Diego is tomorrow! See you there! 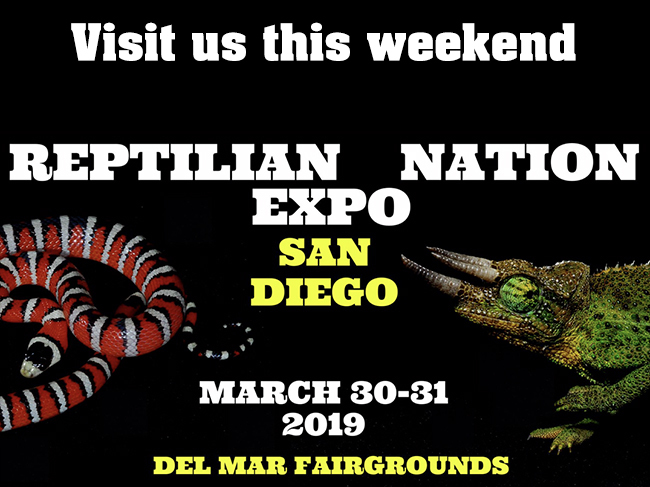 Reptile Super Show San Diego! July 18th & 19th! 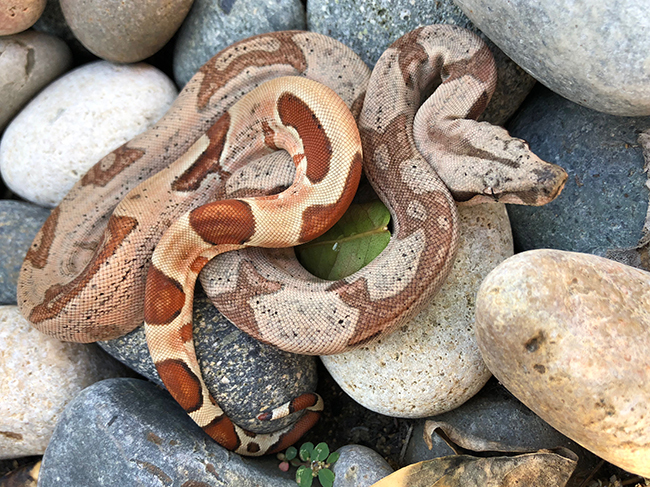 Ball and Boa additions! Check them out! We've added several to the Available Collections. Some additions to our price list. Check it out! Have a Happy and Safe 4th of July! Beautiful Woma babies are hatching! 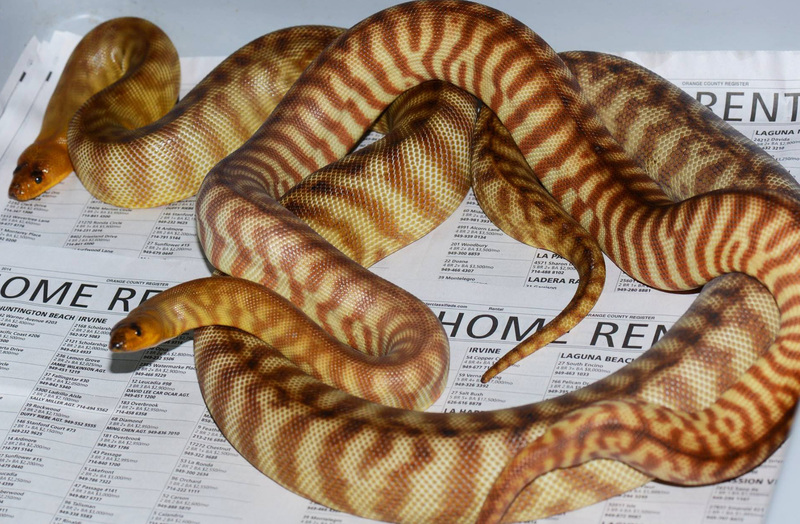 We will have a variety of Woma Pythons at the San Diego show! 1st Summer Price List Posted! Reptile Super Show San Diego! Come see us! 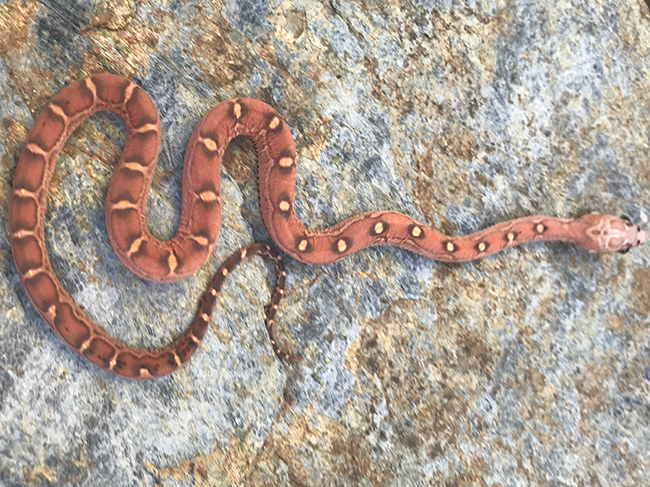 Boa and Retic babies are arriving! Check them out in Available Collections! 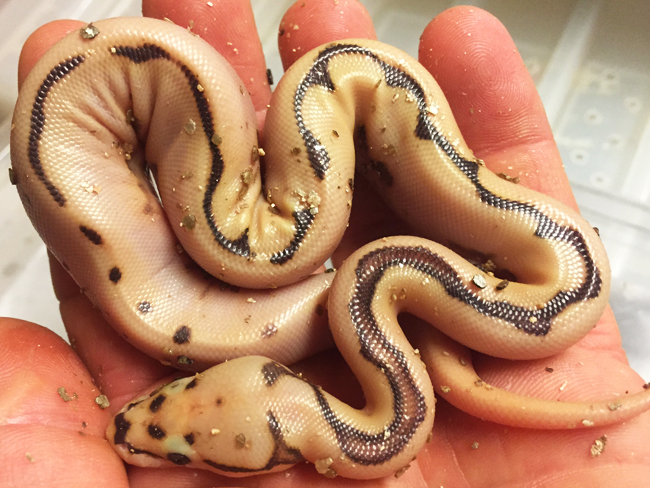 Another hatchling in the crazy Clown clutch! 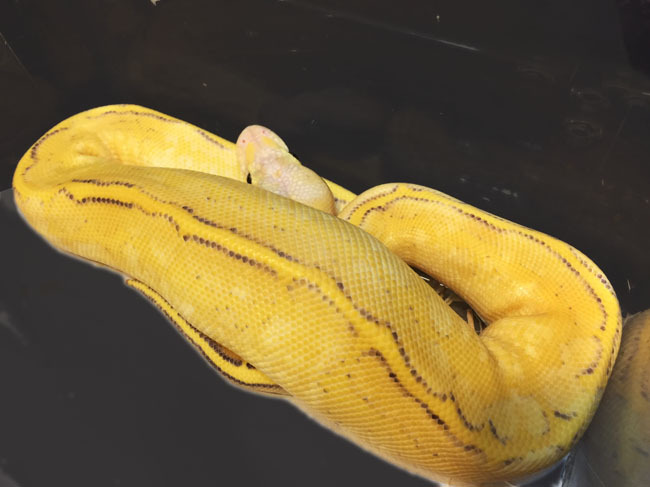 Pied Retics 100% Het Albino .... we are posting updates weekly! Happy Memorial Day! We have new additions! Just added! 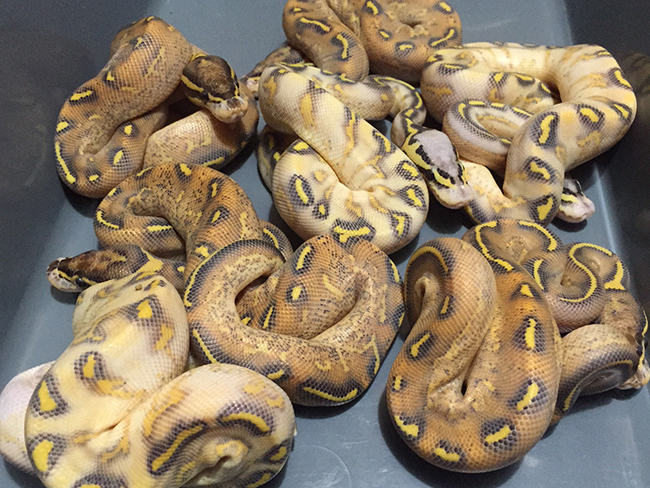 Lots of new Ball Pythons for sale! Adult Specialty Balls! Wow! May 8th Price List in upper right! We can't keep up! New babies and additions are happening every day! Please check our list updates frequently! Eye Candy! Check out our newest 2015 additions! Price list in upper right! 2015 hatchlings are arriving daily! March 26th List! Follow us on Facebook and Instagram! New Price List Updates and Additions! 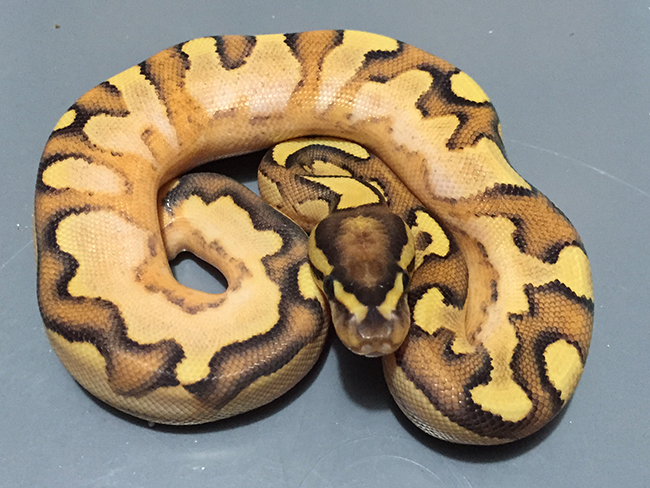 1.0 Bumblebee Hypo Mojave! He's sold, but check out our new Ball additions! NEW MARCH LIST! AND MORE TO COME IN A FEW DAYS! Just added some killer ball combos to our list! Check them out! Getting ready for 2015 arrivals! Great prices on our list, check it out! 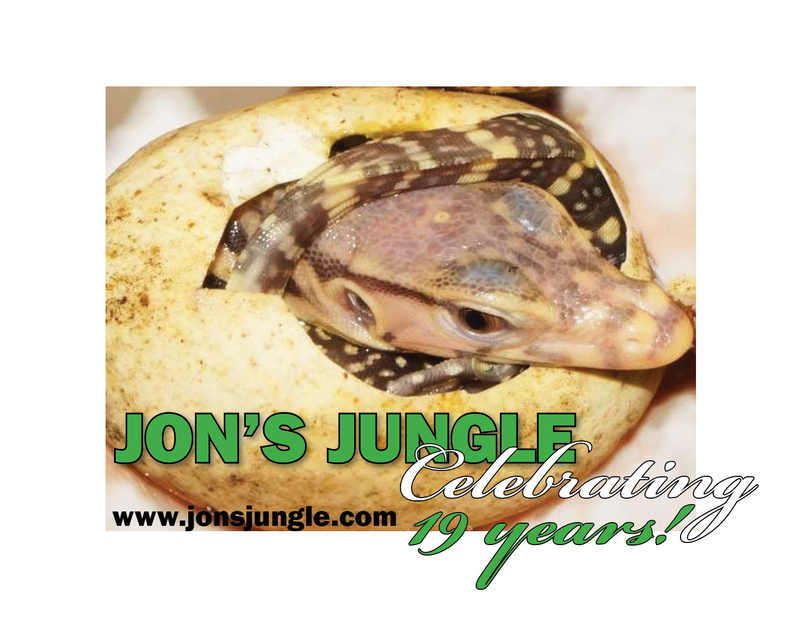 Jon's Jungle Celebrating 19 Years! See our price list for January updates! 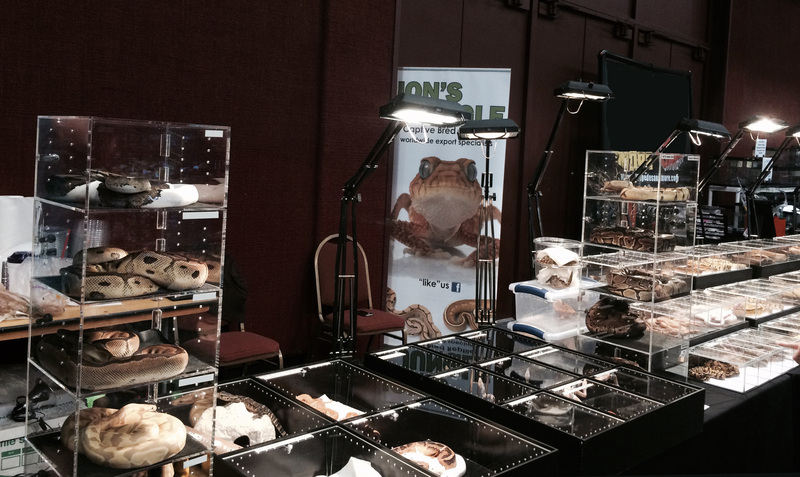 Thank you to everyone who attended the Pomona Reptile Super Show! One more day! Reptile Super Show Pomona! See you there! 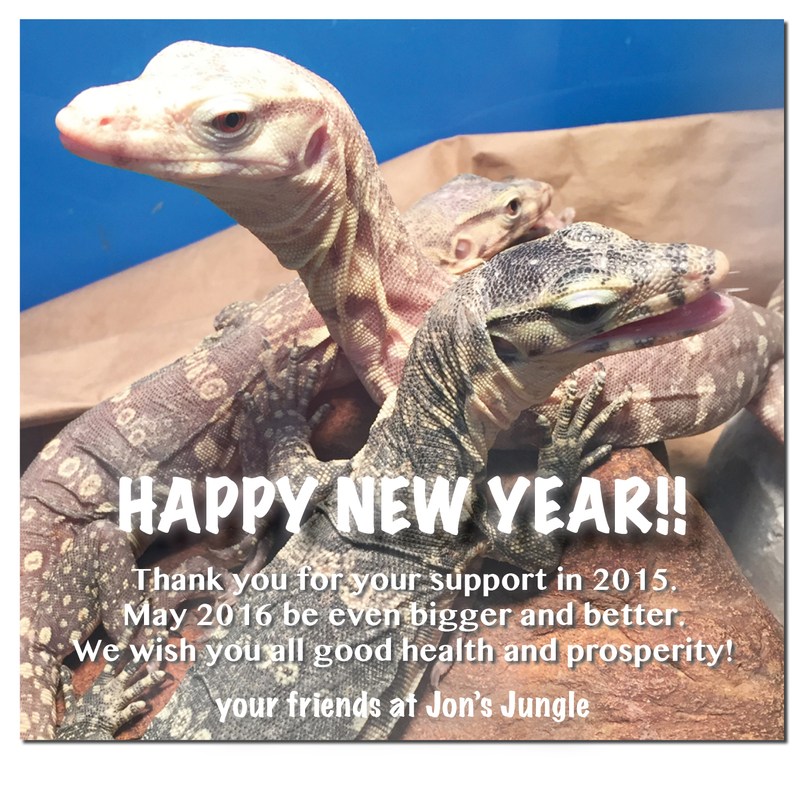 We look forward to seeing you at the Reptile Super Show Pomona this coming weekend! January 10th-11th. END OF YEAR PRICE LIST! Pomona Reptile Super Show! January 10th and 11th 2015. Join us! 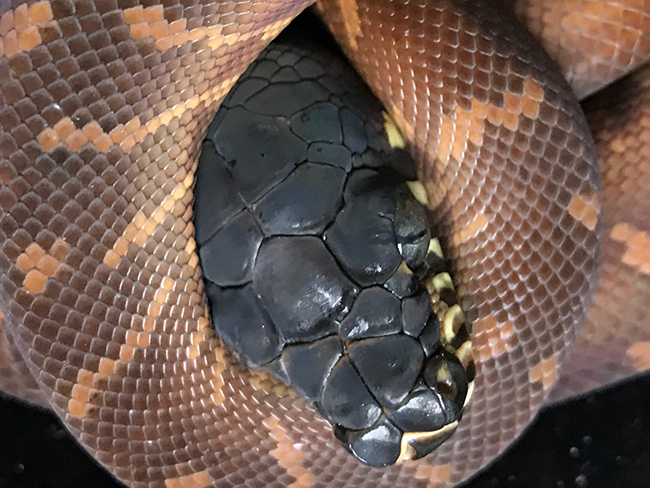 Woma Python breeding has begun! Download our December 10th Price List in upper right! Follow us on Instagram! 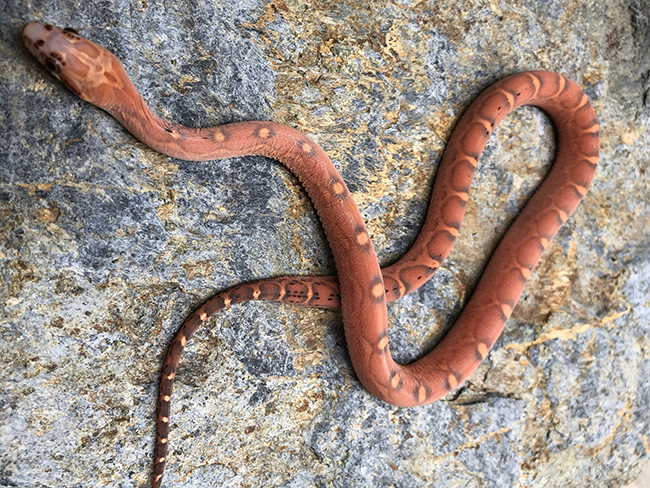 Cool and unique images of our reptiles and other herps! In upper right! Follow us on Instagram! 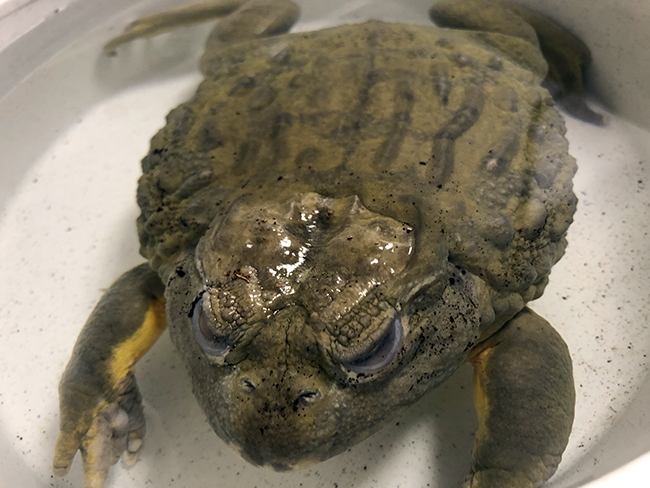 We capture cool and unique images of our reptiles and other herps! NEW PRICE LIST UPPER RIGHT! Happy Thanksgiving! Albino Mutant Pac Man Frog! The only one! New List! Download in upper right! More additions! Check this one out! NEW ON OUR LIST! 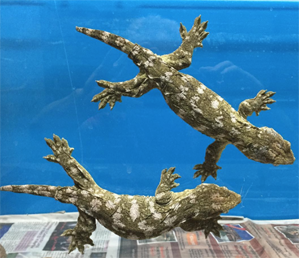 Many rare captive bred lizards, more adult and juvenile balls! 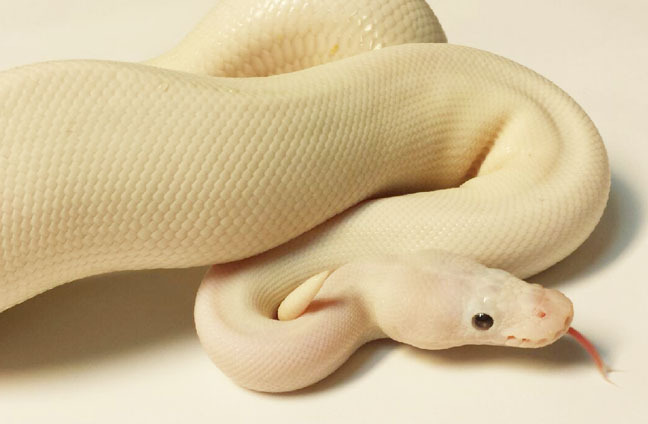 Check out this adorable Pied Pectinata! 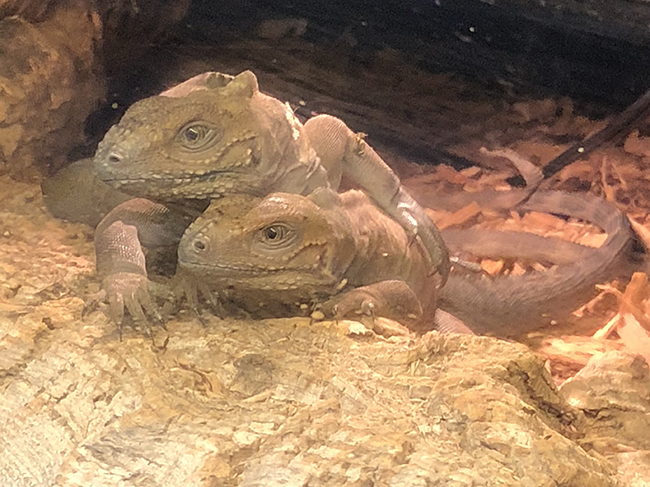 We have sub adults and yearlings! Wow! 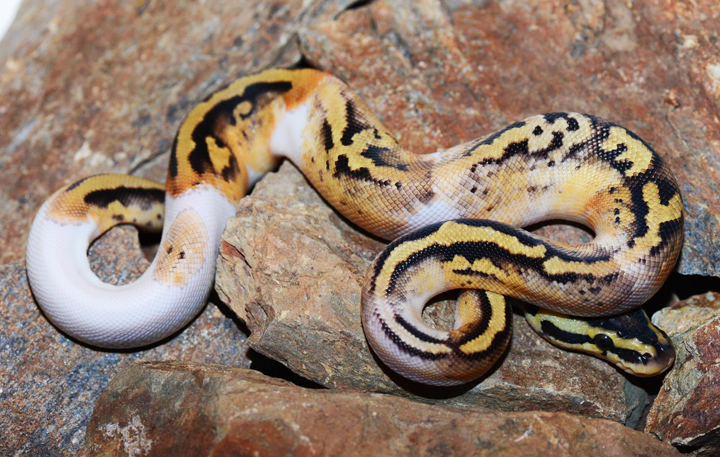 We've just added many adult ball pythons to our list! Some great breeders! We Have Great FALL Specials! Ask us! 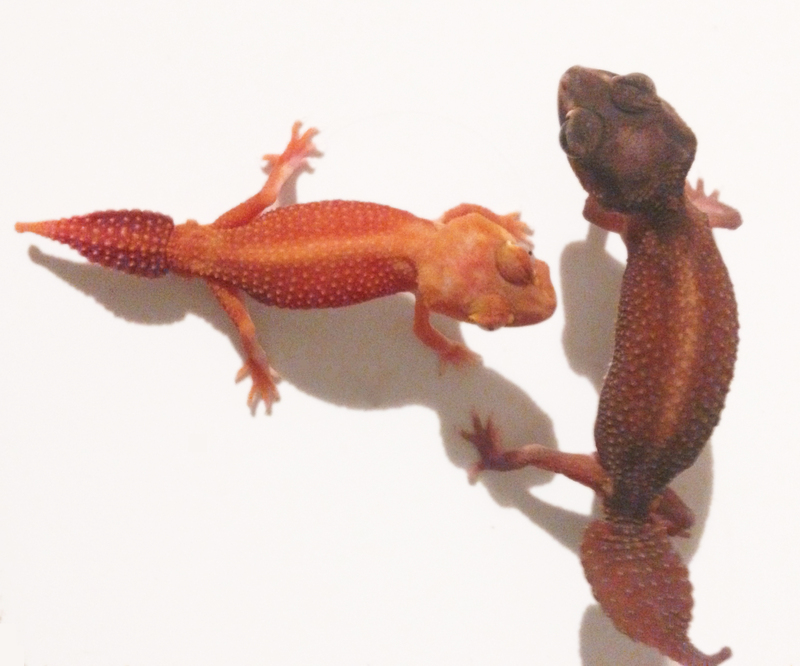 We have rare Geckos! Check out this pair! Please inquire. Great deals on late summer hatchlings and hold backs! New Additions! And check him out! 1.0 Pastel Highway! New Updated List! We have some amazing color combos!! Thank you to everyone who visited us at the NARBC Anaheim show! Happy Labor Day! NARBC next weekend in Anaheim! See our updated price list! 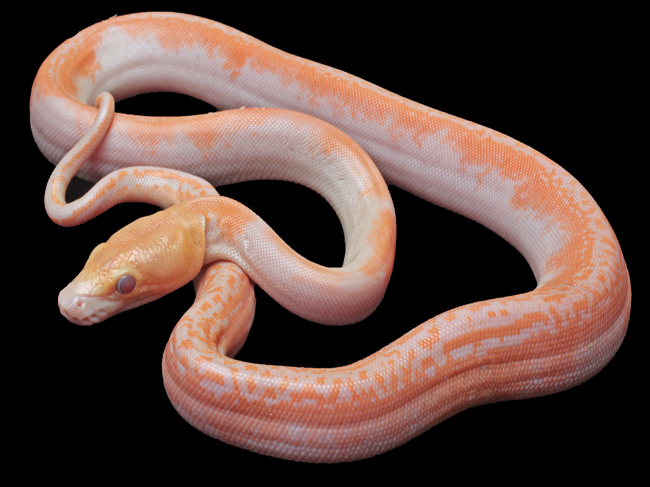 1.1 cb12 White Phase/Pink Varanus Kingorum - Kings Monitor - Smallest monitor in the world! More hatchlings arriving daily! Check out our newest additions on our price list. Pacman Frogs! Tons of colors!! From $25-$10,000!! Pomona Show Success! Thank you to everyone who attended! The Pomona show is this weekend! We are still taking preorders. Check out latest list! 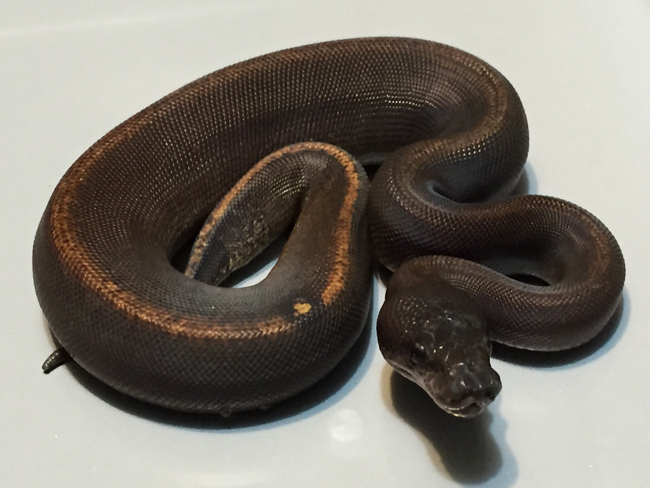 Lots of new hatchlings and holdbacks on updated list! Check it out! 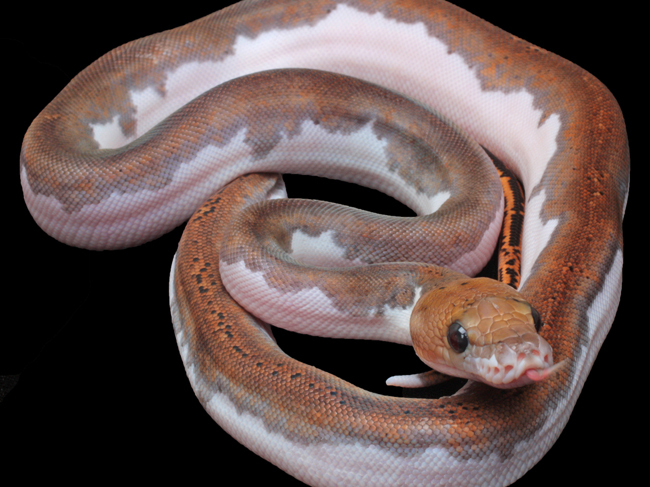 Lots of new hatchlings and holdbacks on updated list! 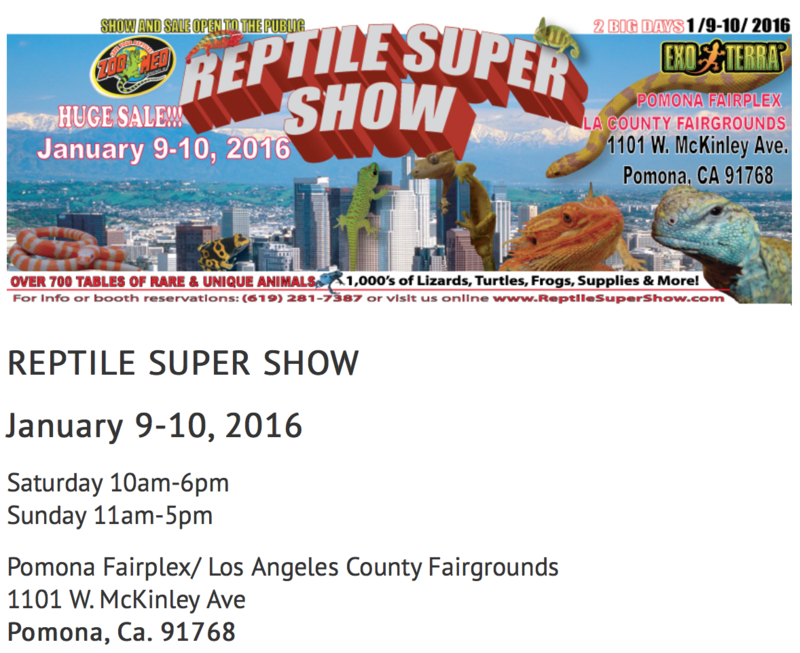 POMONA REPTILE SUPER SHOW JUST DAYS AWAY! TWO MORE WEEKS UNTIL POMONA! PRESALE NOW! New Price List in upper right! 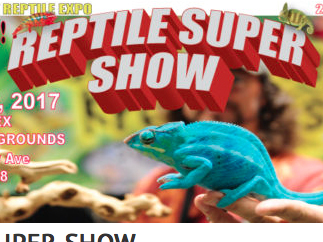 REPTILE SUPER SHOW August 9th-10th! Don't Miss it! 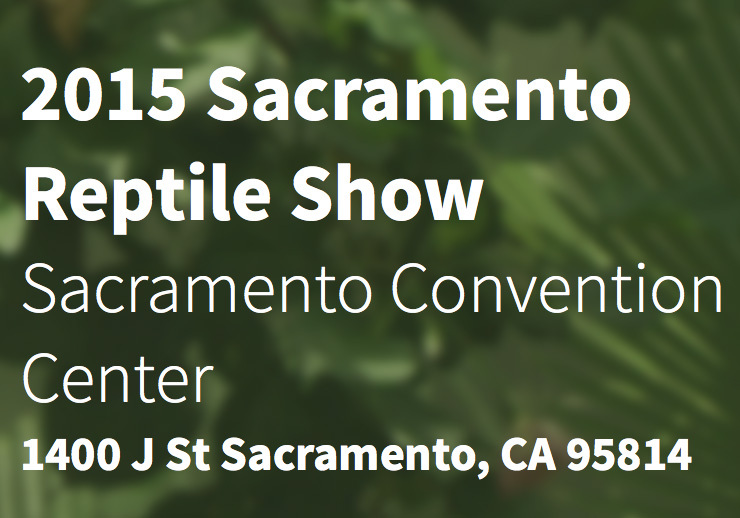 The next Reptile Super Show is Aug. 9th-10th! Don't Miss it! Great updates! 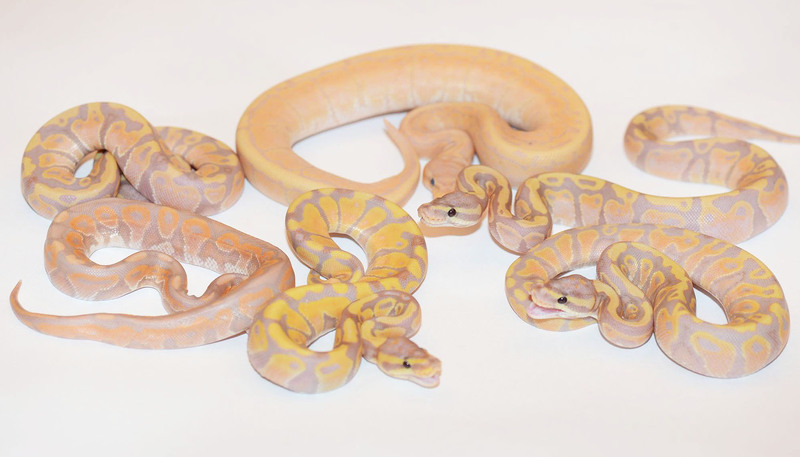 Geckos, Ball Pythons, Retics, Bloods! 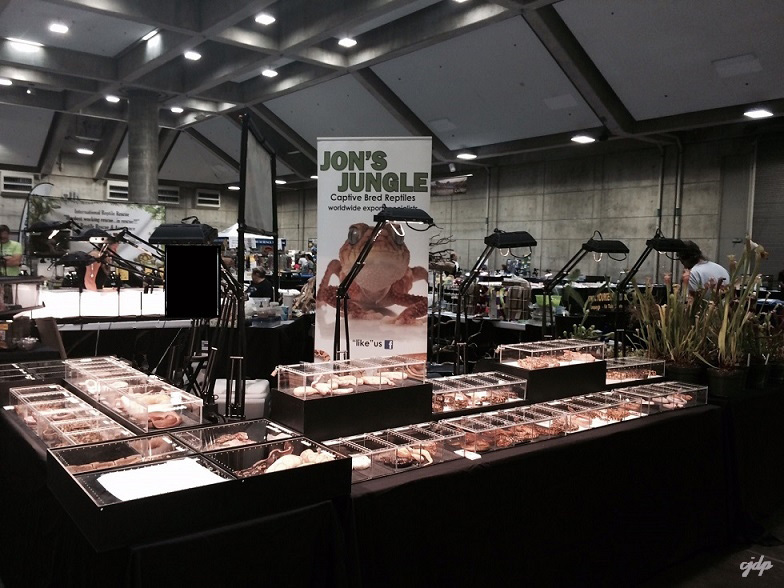 San Diego Reptile Super Show - Thanks to everyone who attended and stopped by our booth! 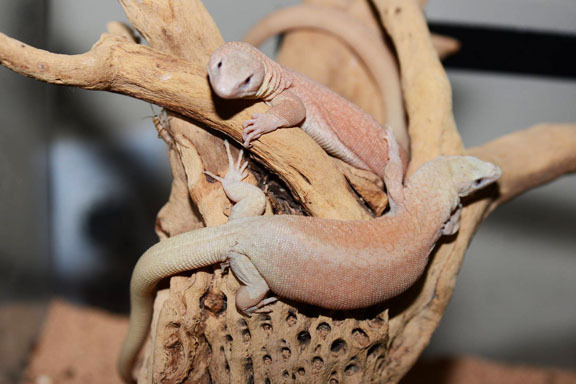 Don't Miss our San Diego Reptile Show REPTILES ON WHITE! We've added many new hatchlings to our price list! Check it out! Download in upper right. 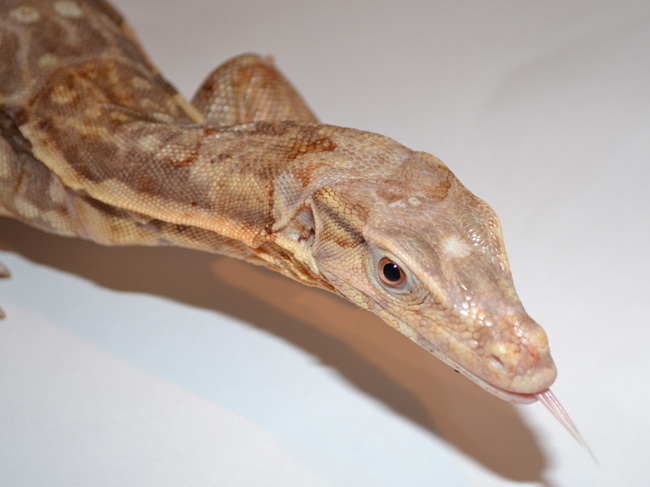 Only 7 days until the San Diego Reptile Super Show! It's not too late to pre-order! New Price List! We are taking pre-sales for the San Diego show! Rare white phase Kings Monitors! On new Price List! Memorial Day Special Pricing! Inquire! May 20th Price List Now Available! Many New Mid-May Additions to our Price List! Check it out! May 10th Price List! Download in upper right! 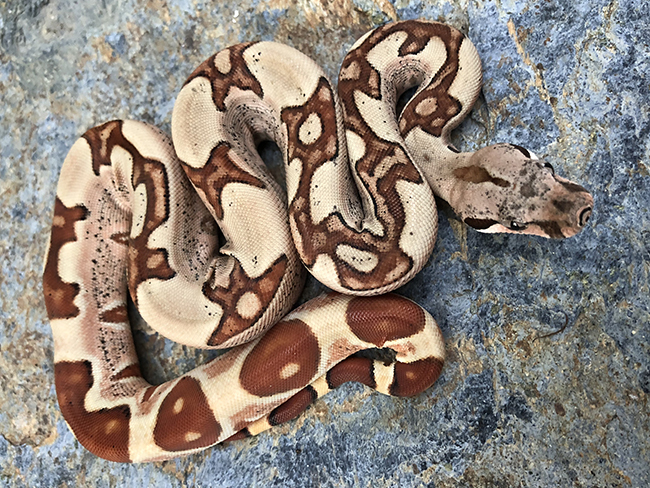 Lots of New Ball Python Morphs Just Added! Check it out! April 14th Price list! Download in Upper Right! New hatchlings arriving! 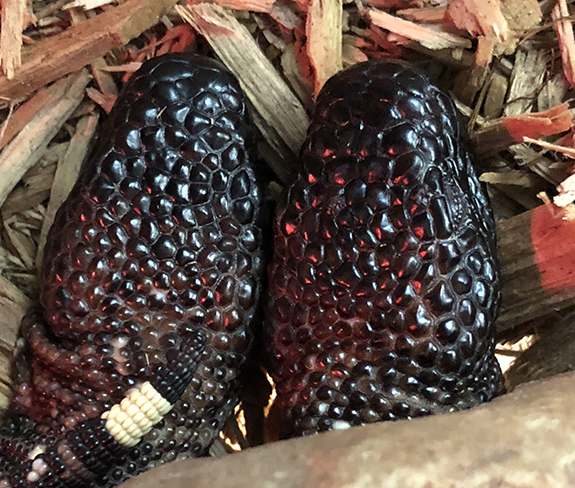 Our Woma's are laying! 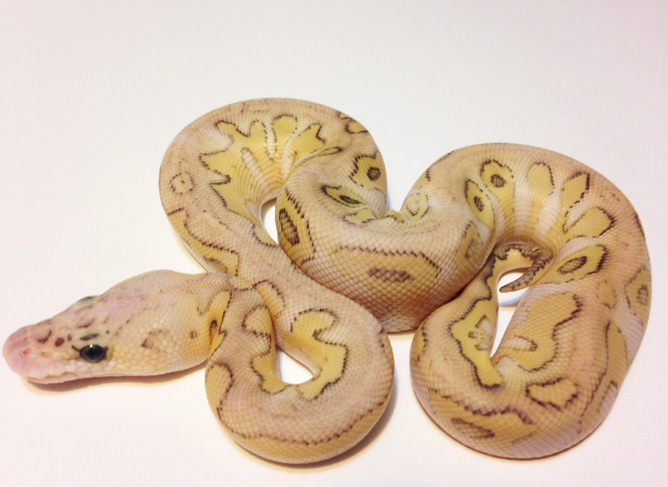 And many Ball Python morphs too! If you happen to see a different price in our Available Collection then on our Price List, it is always the lowest price! March Spring Spectacular Price List! Download it now in upper right! Updated March 11th Price List is now available! FEBRUARY 23RD PRICE LIST IS POSTED! 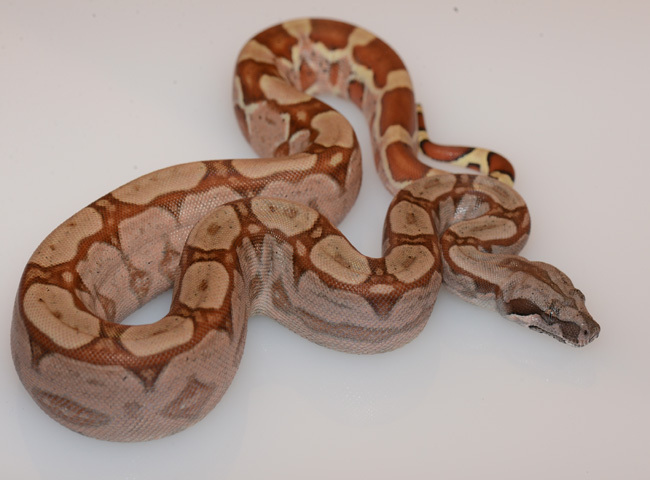 We have some new ball python morphs and an incredible Tiger Anthrax Retic! Check him out under Pythons/Snakes! Check out our new updated list in upper right! 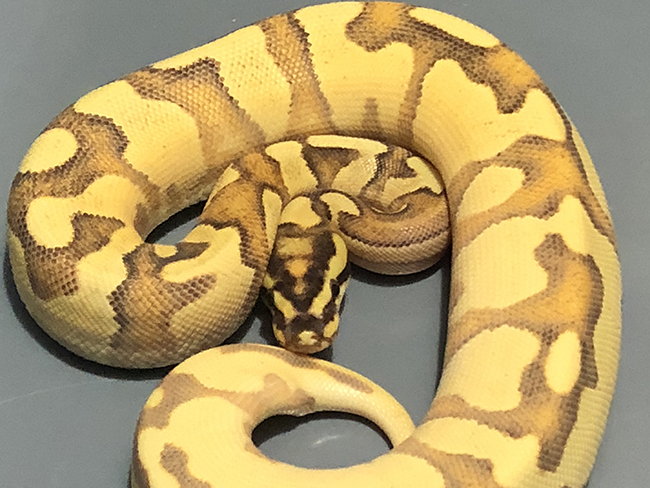 Lots of new ball morphs! Also, a "blast from the past" we posted a few shots from long ago in the GALLERY section! Lots of good memories and experiences along the way! February FREE shipping to Asia! 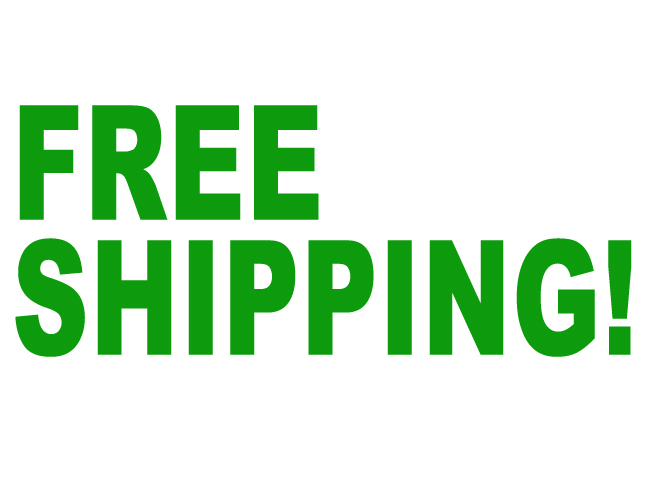 For all of our Asia customers new and current, don't forget the FREE shipping offer on your orders throughout February! We have just posted some new offerings! New updated price list to follow. Our Available Collection sections are posted by price. So make sure you scroll through! Welcome to the new Jon's Jungle website! Welcome to the new Jon's Jungle website! After many months of development we are very excited to finally have the site launched! You will find a ton of images and pricing in our AVAILABLE COLLECTIONS. Our full current PRICE LIST can be downloaded from the upper right corner.